Turgenev is a great writer who seldom gets his due. Readers with an interest in the nineteenth-century Russian novelists turn to Tolstoy and Dostoevsky, not Turgenev’s Fathers and Sons, and the only play of his that’s ever performed – and not often – is A Month in the Country. Yet ten years ago someone had the inspiration to mount a production of his ironic comedy Fortune’s Fool on Broadway with Alan Bates (in his last performance, and he went out in glory), delectably paired with Frank Langella. Though it’s a minor work it’s so expertly calibrated and contains such wonderful characters that it made every other play that season look paltry by comparison. 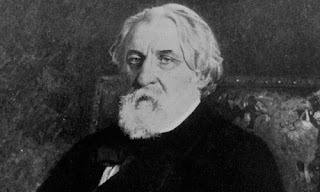 (Since Fortune’s Fool had never before received a Broadway production – possibly not even any American one – Turgenev, dead 120 years, found himself competing for the Tony Award. He lost, outrageously, to Edward Albee for The Goat, or Who Is Sylvia?) And A Month in the Country has a reputation for being impossible to pull off on stage. I’ve seen it twice before, both times in the adaptation Brian Friel prepared in 1991, and both productions, one by the Royal Shakespeare Company and one by Boston’s Huntington Theatre, were languid and uninvolving. The problem may partly be Friel’s translation. Nelson co-authored the one he staged at Williamstown with Richard Pevear and Larissa Volokhonsky, the married couple who are responsible for most of the recent, enthusiastically reviewed translations of classic Russian texts. 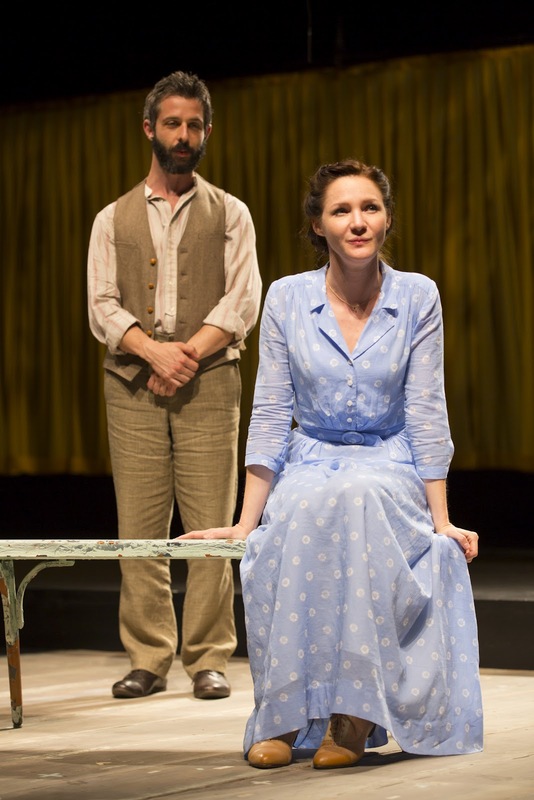 A Month in the Country is their first translation of a play, and it gleams with clarity. The characters (again, as in Chekhov) are both hilariously and horrifyingly self-aware, but there isn’t a trace of self-consciousness in the prose. 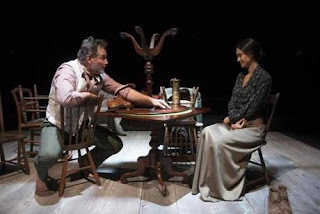 And stripped of the Anglophilic stiffness of much translated Russian drama, its rhythms refreshed for contemporary American actors, it really breathes on stage, in the way that David Mamet’s version of Uncle Vanya does in Louis Malle and André Gregory’s film Vanya on 42nd Street. Both the translation and Nelson’s direction lay bare Turgenev’s dramaturgy. A Month in the Country is structurally a farce, tonally a high comedy, and here’s where it differs from Chekhov’s late plays, in which the plots contain farce remnants (the cross-hatching of romantic longing), but the air of melancholy mutes them and you laugh at the characters’ follies with a catch in your throat. Natalya, married to the rich landowner Arkady (Louis Cancelmi), aches for Belyaev; he’s twenty-one, a mere eight years younger, but she feels weighed down by marriage, ancient, used up, and this callow, clueless young man awakens her desire for the youth she feels has been stolen from her. (Nelson points out in a director’s note in the program that it’s customary to cast middle-aged actresses in this role, even though she’s not yet thirty – and what a mistake that is.) She interrogates Vera because she fears that her ward is her rival for the tutor’s affections, and the inexperienced Vera suddenly puts a name to her own feelings for Belyaev (though it’s equally possible that Natalya’s questions jump-start feelings she hasn’t yet dredged up). Poor Belyaev, who hasn’t been thinking about either of these women, suddenly finds himself in the middle of a love triangle that hasn’t been played out. Moreover, Natalya finally confides in Rakitin, who has been in love with her for years. At the climax of the play, Arkady figures out how Rakitin feels, and Rakitin offers to leave the estate, where he’s a guest. Arkady has no idea that it’s Belyaev and not Mikahil who’s the real danger to his marriage. Turgenev called the play a comedy, and these mechanics are indeed hilarious (again, in a way that Chekhov’s aren’t), but the characters’ unhappiness runs deep. The twentieth-century farce it’s probably closest to is Renoir’s film The Rules of the Game. Nelson’s model for this production is clearly Vanya on 42nd Street. The play begins with a tableau of the ensemble and piled-up furniture in front of a half-curtain; with minimal fuss, the actors place it on a forestage jutting into the audience, with chairs on either side of the playing area where those who aren’t in the scene wait for their next entrance. The furniture is simple (Takeshi Kata designed the set, which has a poetic, pared-down quality – a haiku quality); so are Susan Hilferty’s costumes, though they’re in period. The staging looks simple, too, but it’s simultaneously almost mathematically precise and richly evocative. And the placement of the actors at odd angles, sometimes turned away from the audience, works carefully against the theatricality of having them perform the scene shifts and keeping them on stage through most of the play in the way that the putting-on-a-show frame and the anachronistic rehearsal touches in Vanya on 42nd Street are undercut by the absolute psychological realism of the performances. My only complaint about A Month in the Country is that Nelson has been more attentive to the actors’ line readings (which are superb across the board) than to their physicality, which in most cases needs more freedom of imagination. This is especially true of Julian Cihi, who hits all the shifts in Belyaev’s scenes with the two women but whose physical awkwardness, convincing and even touching at first, begins to feel more like an actor’s shortcoming than like a character choice. As Rakitin, Strong has a gentle presence and he gets that distinctly Russian quality of torment in the head (he never makes a move on Natalya; it’s all talk, and mostly soliloquy). Bydwell does a remarkable job of presenting Vera’s first amorous stirrings in all their befuddled complexity. There are strong contributions by Sean Cullen as the doctor, Shpigelsky, who tries to effect a match between Vera and the middle-aged neighbor Bolshintsov (Paul Anthony McGrane, delightful in his single scene) – as much for personal gain as out of friendship – and whose courtship of Lizaveta (Elisabeth Waterston, in a wry, thoughtful performance) is humorously devoid of courtly affectation, by contrast to the romantic protestations and agonies we’re privy to in the other scenes. Kate Kearney-Patch lends a touch of gravitas to the role of Arkady’s mother Anna. Louis Cancelmi, whose character is mostly in the wings until the last few scenes, brings to life the dilemma of the husband who is aware that his wife has begun to look elsewhere but loves her so much that instead of being angry with her, he pities her. 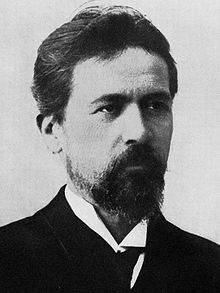 (This is another trope Chekhov borrowed, for Kulygin in Three Sisters.) And Jessica Collins is simply extraordinary. I found Collins charming as the social worker in the unfortunately short-lived TV series The Nine, but it wasn’t until I saw her as Madame de Tourvel (the Michelle Pfeiffer role, for those who know the movie) in the Roundabout Theatre revival of Les Liaisons Dangereuses in 2008 that I realized how much depth and technique she had. The high point of that production was the moment when Collins’s Tourvel succumbed to her love for Valmont (Ben Daniels) and loosened her bodice, and as he kissed her exposed neck, her response suggested the anguish of capitulation along with the ecstasy. Collins has many fine moments in A Month in the Country, but I’ll cite just my favorite: when Natalya, in her first scene with Belyaev, finds out that his sister is also named Natalya, the coincidence makes her as excited as a little girl who believes the universe is mysteriously in sync with her most precious desires. Nelson works a great deal, both as a playwright and a director, and though I haven’t liked everything I’ve seen by him, his best work is intelligent, sensitive and highly original. (I can’t wait to attend the last play in his Apple family trilogy at the Public Theatre this fall.) In 2004, he staged his own play, Rodney’s Wife, at Williamstown with a sensational cast that took it to New York later that year, and its achievement – the rendering of intense, layered psychology through intimate, deceptively simple means – anticipated what he does here with Turgenev. This production of A Month in the Country is so modest that it risks being undervalued.